The Rémy Martin Cognac Glass is the tallest of the three glasses due to the medium long stem that also allows you to nest the glass in your palm for warming of the liquid. The body of this glass is round at the belly curving slightly inward at the top creating a narrow mouth where it concentrates the aromas which in my opinion makes this glass better for spirits with weaker nose. Because of the narrow mouth it requires you to tilt your head backwards a bit when drinking. This shape guides the drink from the glass to flow on to the tip and to the sides of the tongue. The shape of the glass also nicely enhances the colour of the spirit. Finnish by design, this glass is a standard straight sided glass with a solid rocky bottom which gives it a very sturdy feel. As a small bonus the rocky bottom makes this glass a little bit more unique than your standard old fashioned glass. 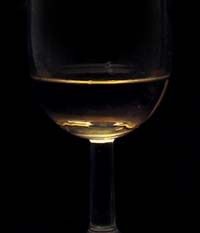 Because the mouth is as wide as the rest of the glass it doesn't capture the aromas as well as the Cognac glass but instead it allows you to move your nose around freely for inspecting the different aromas at different parts of the glass and when drinking from it, most of the tongue is exposed to the spirit. It is also big enough for a couple of ice cubes if you like. I like to use this glass for either strong or rich spirits like El Dorado 15. 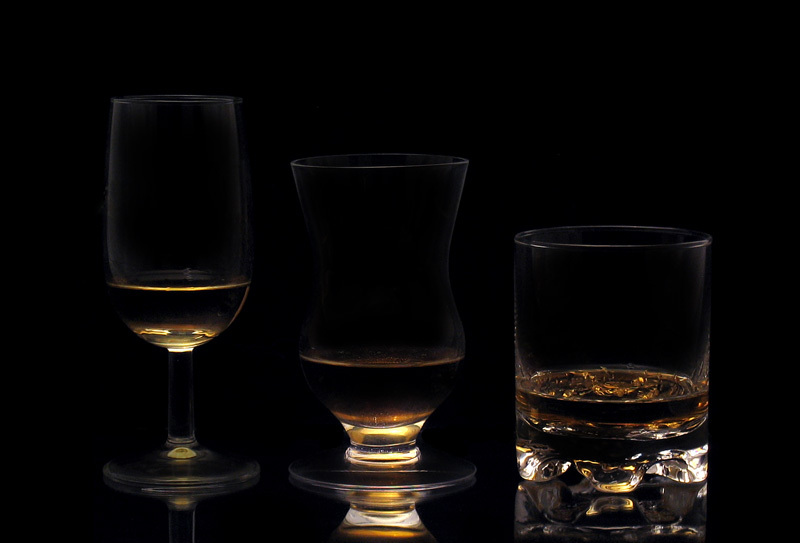 Spirit Sippers were looking for some reviewers for their new rum tasting glass and I was one of the lucky volunteers who received this free rum tasting glass, which is why I have written this tasting glass review and comparison. This glass actually reminds me a little of the thistle shaped Riedel Single Malt Whisky glass but the Flare is rounder at the belly, curving inwards in the middle and then bending outward at the top creating a flared mouth. The short stem doesn't really allow you to nest the glass with one hand if you wish to warm your spirit, though no-one is stopping you from cupping it with two hands. When I pick up the glass all my fingers are automatically directed at different parts of the glass - My little finger goes under the base, ring finger by the stem, middle finger on the bulge, my thumb and index finger at the middle where the shape curves inwards. I find this is the best way to hold this particular glass. I like the shape and feel of this glass - it is weighed properly and doesn't feel delicate despite the medium thin glass and it holds a respectable amount of liquid. The wide base adds to stability. The liquid from this glass flows to the sides and tip of the tongue but also a little bit further to the middle. 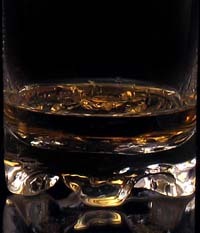 It is like a cross combination of the Rémy Martin Cognac and the Gaissa glass when viewed in this perspective. How does The Flare compare against these two glasses in rum tasting though? Let’s find out. For the comparison I decided to use the rums Rhum Barbancourt Reserve Speciale Five Star, Appleton Estate Extra and Screech (all of these rums are reviewed on Refined Vices). I begin the test with the Cognac glass which brings out the aromas of Barbancourt pretty well with a slightly alcoholic sting. Moving on to the Gaissa glass I am surprised that the alcohol sting is stronger despite the wider mouth. With the Flare the alcohol fumes are virtually nonexistent but at the same time the other aromas seem to have mellowed down a bit. Moving my nose around the mouth of the Flare glass I detect no disturbing alcohol fumes, the already smooth aromas of this rum are now completely smooth compared to the Cognac glass where the alcohol is substantially more powerful. In the Gaissa glass the aromas are less concentrated comparing to both the Cognac and the Flare glass but the alcohol fumes are also less powerful than they are in the Cognac glass. Overall I find the Flare best for this rum out of these three glasses. The Flare again completely smoothes out the alcohol fumes in the aroma and further intensifies the strong banana aromas of Screech. In the Cognac glass the aromas are also intensified but the alcohol is once again stronger disturbing the detection of other aromas. 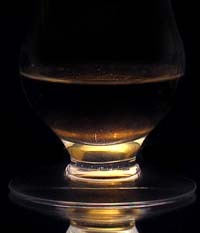 The Gaissa is the next best option for Screech, sitting somewhere between the Cognac glass and the Flare. When I review rum I sometimes try various glasses if I think I can get better nosing results with something else. The Flare efficiently removes the disturbing alcohol fumes while simultaneously making the delicate nuances of rum a little bit more pronounced and clear. For rums with weaker aromas the Flare may not be the best option as noticed with Barbancourt where I found the aromas to mellow down too much. Good tip though is to put something on the glass, like a card, to allow the aromas to gather for a while before nosing. The differences when comparing to other glasses are not that significant but regardless, I think I’ve found my first real rum tasting glass and I am happy to have had this opportunity. Discuss this comparison in the forums.